I often marvel at the multifamily real estate investing gurus who insist you can buy an apartment building and sit back and collect the rent while someone else does all the work. Don’t you? First of all it’s not smart. Second you don’t want to discover the inmates are running the asylum after it’s too late, metaphorically speaking. Here’s the rub. Somebody’s got to manage the manager. Smart multifamily real estate investors know apartment building operations inside and out—it’s the only way to stay on top of what your team is doing, or not doing. I would have loved to have this checklist when I started investing in multifamily real estate. You’ll be glad to have a copy in your investing arsenal! 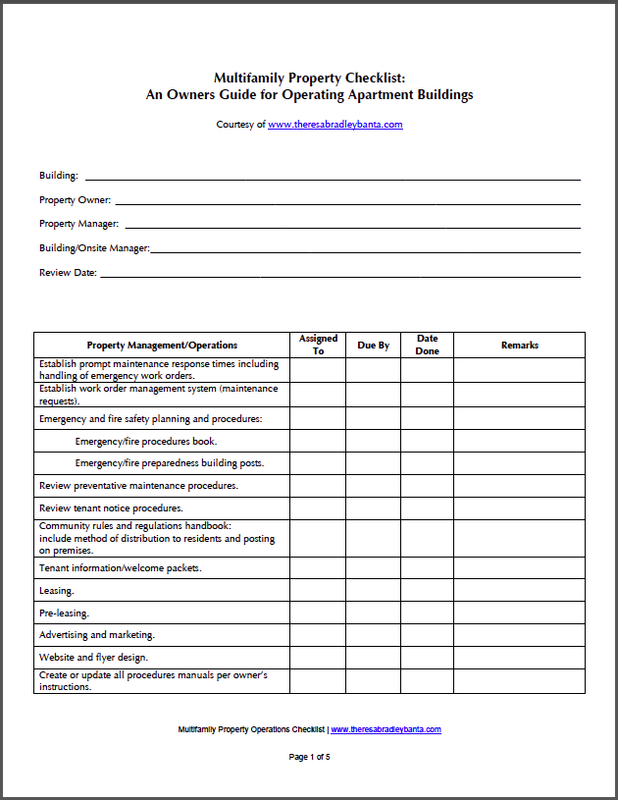 Click on the link (or the image below) to download your Multifamily Property Checklist: An Owner’s Guide for Operating Apartment Buildings.